Learn how to script Focus with customer URL handlers, allowing you to start Focus from anywhere! 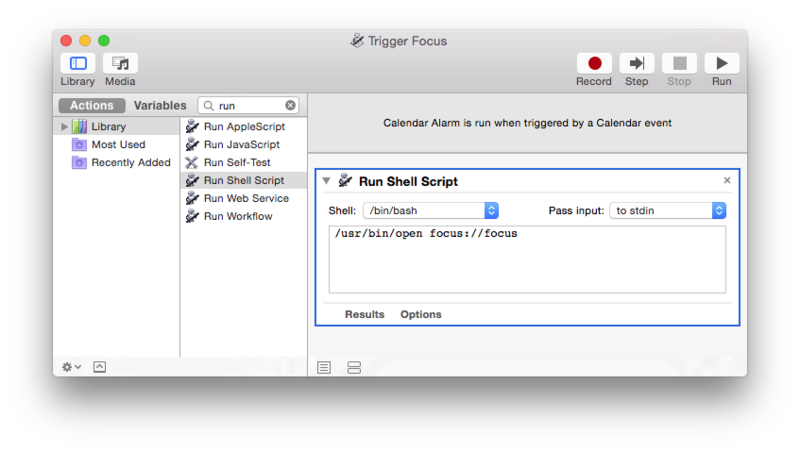 Focus supports OS X URL handlers, which means you can turn it on and off from the browser, operating system and 3rd party apps. If you have Focus installed it will turn the app on or off (you may have to click approve if a dialog comes up). Export the action. Also create an unfocus action if required. 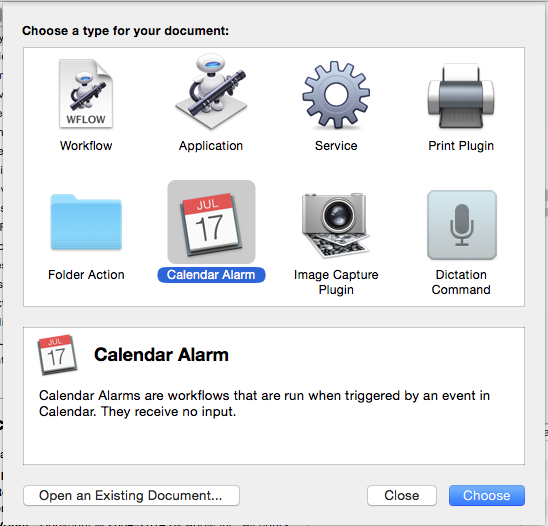 Now, when your Calendar alarm goes off, Focus will run the Automator script which will turn Focus on or off. Focus is also easy to integrate with other 3rd party apps like Alfred. 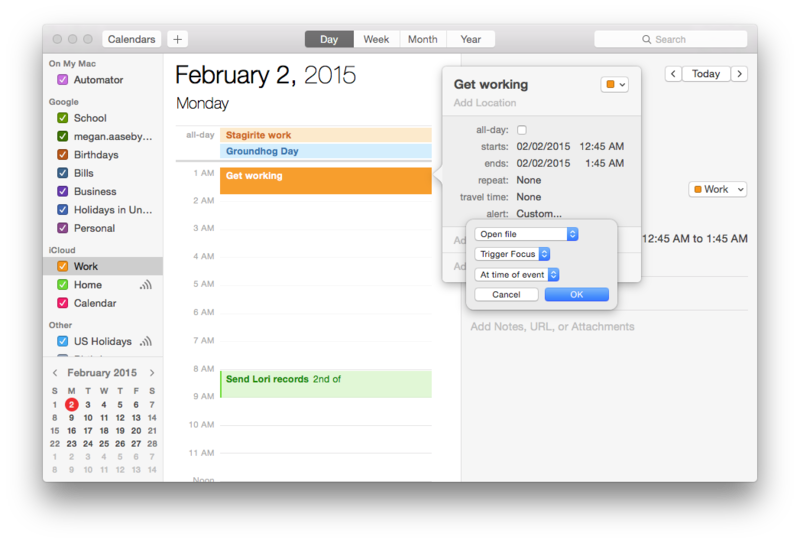 Download the Alfred workflow and quickly enable or disable Focus with an alfred command.